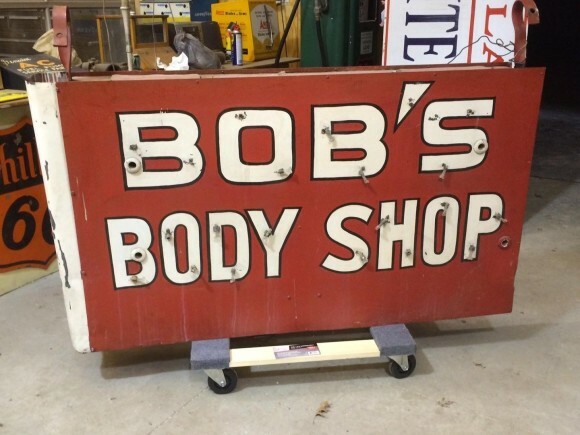 An older neon that measures 63″ by 35″, the Bob’s Body Shop sign is quite simple in design. The neon sign reads “Bob’s Body Shop” in white lettering with a black boarder on the text. The background color of this double sided porcelain neon sign is a muted red.